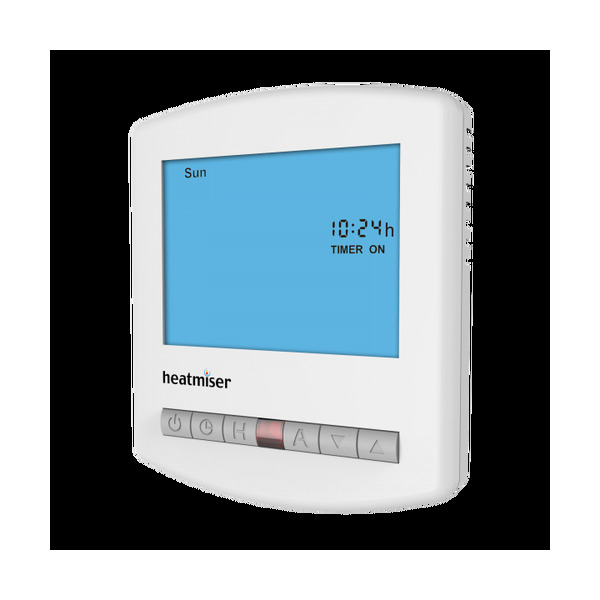 The Heatmiser TimeClock (TM1-N)offers three modes in-one, selectable by the installer. Countdown Timer: In this mode, the user can select the number of hours required by using the Up/Down key. At the end of this time, the output is disabled. The installer can program a maximum countdown time to restrict excess use..
5/2 Day Time Clock: In this mode, the user can program 4 switching times for the week and 4 different switching times for the weekend. 7 Day Time Clock: In this mode, the user can program 4 switching times for each day of the week.